I don’t know about you, but I hate to toss out anything that may have a second life as something new. I have even more trouble if it’s something that was given to me as a gift. As I take down the holiday trimmings, I stack together all of the holiday cards I’ve received over the last month. I know I can come up with some great new purposes for them. I’ve put together a list of ten ideas for you to check out. I have to say that number 1 and number 7 are my favorites. Which one(s) do you like best? As always, click the link to get the tutorial for making these awesome upcycles. 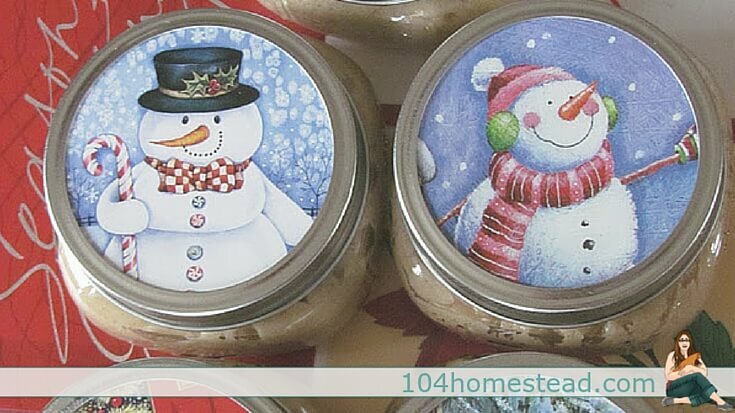 Recycle holiday cards for jar lid covers and gift tags for your homemade jams, jellies and other canned goodies. See the tutorial at S.C.R.A.P. Make Christmas decorations like this darling garland from holiday cards. See the tutorial at Party Planning Center. 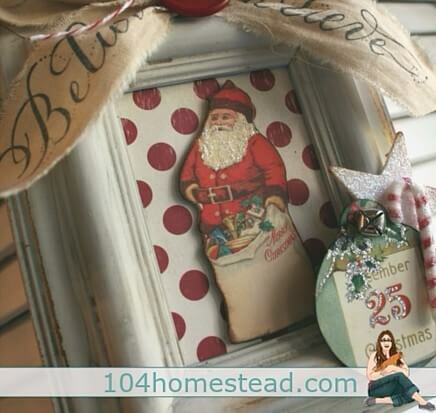 You can make holiday-themed framed artwork. See the tutorial at Cherry’s Jubilee. 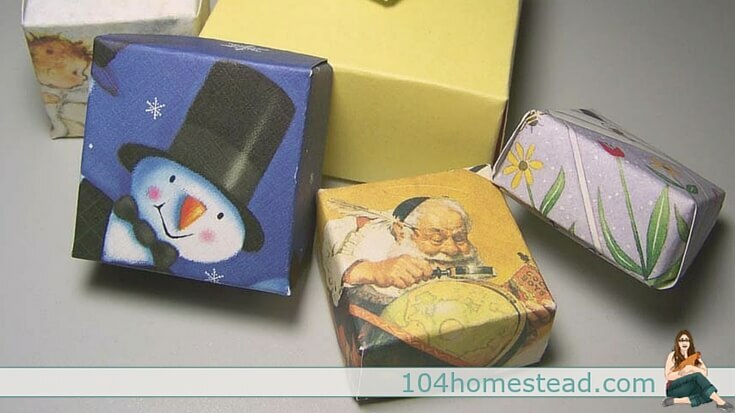 You can fold old holiday cards into gift boxes. These work great for Valentine’s Day cards as well. See the tutorial at Kid at Art. This one is so obvious, I can’t believe we don’t all do it. 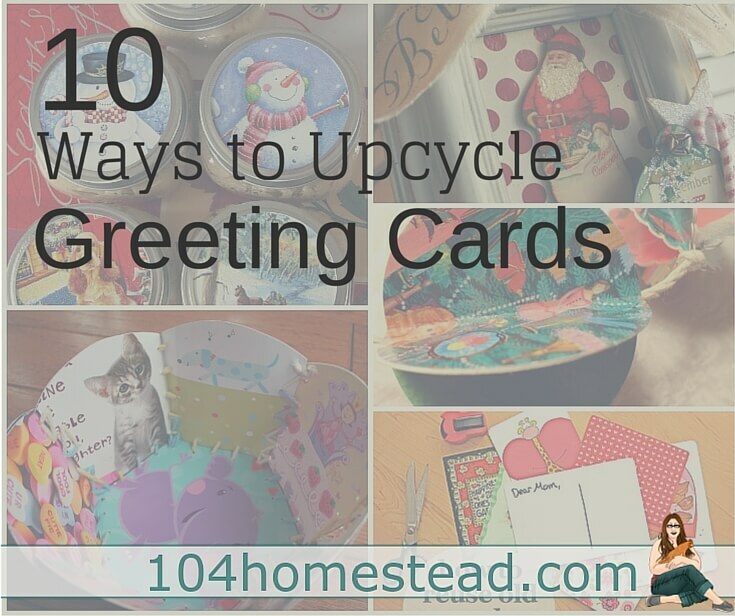 Turn your old holiday cards into postcards. Bonus: The stamp is cheaper and you don’t have to lick an envelope! See the tutorial at Making This Home. 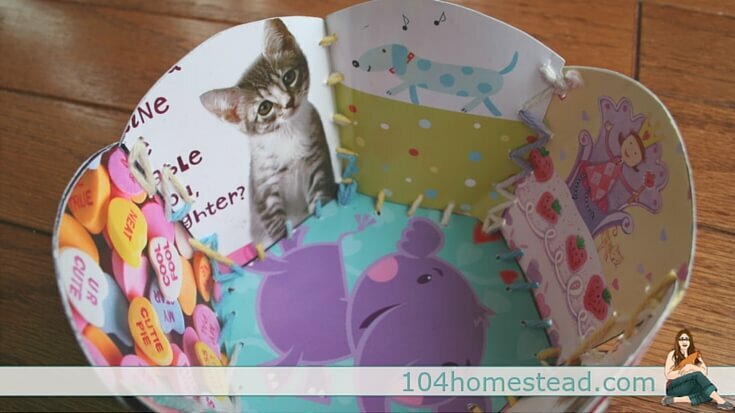 These sewn card baskets are pretty cute as well. They’d be great for all those Valentines your kids bring home from school. They could keep their Valentine’s Day candy in it. See the tutorial at Pink & Green Mama. 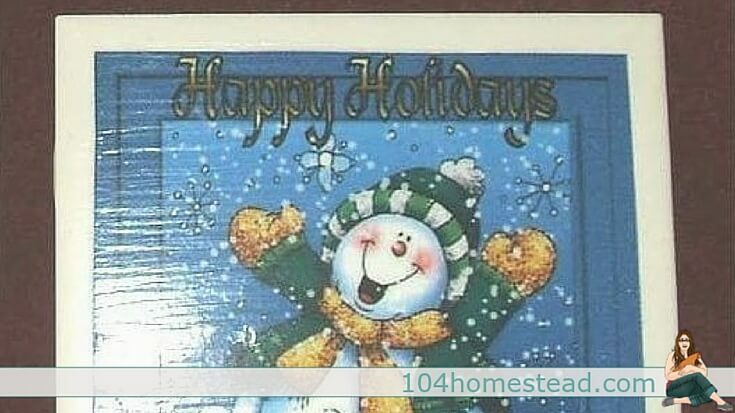 You can use holiday cards to create a backdrop or mat for photos from special days. See the tutorial at How to Reuse it Creatively. You can make a holiday-themed trivet. See the tutorial at Thrifty Fun. I wish it wasn’t in the back of our storage shed because I’d love to share a photo of one of my personal upcycled card projects. I took an ordinary box with lid and covered it in wrapping paper and cards from my baby shower. I used it to save all those special mementos from my son’s first year of life. 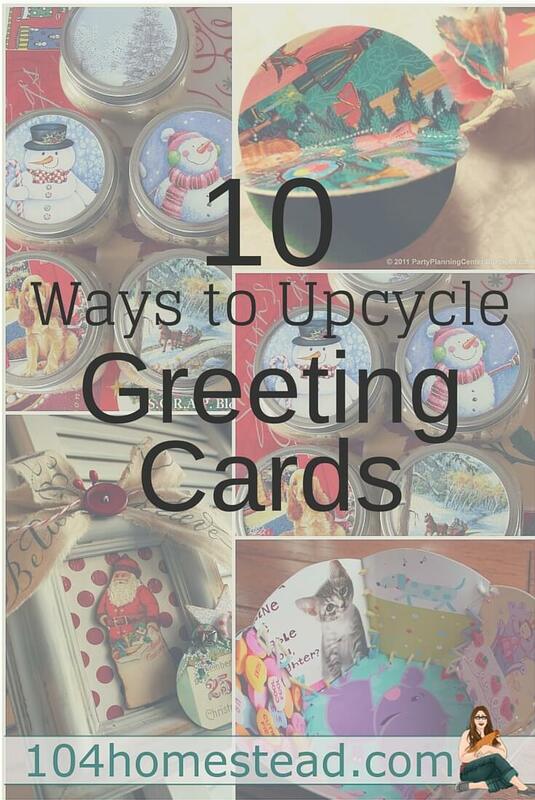 If you aren’t feeling crafty, there is still another way to give your holiday cards new life. You can donate them to St. Jude’s Ranch for Children. They recycle the old cards to make new cards. The sale of these cards financially supports children and families in need. If you’re interested in learning how to make your own gorgeous gift cards, look no further than Craftsy’s online classes. 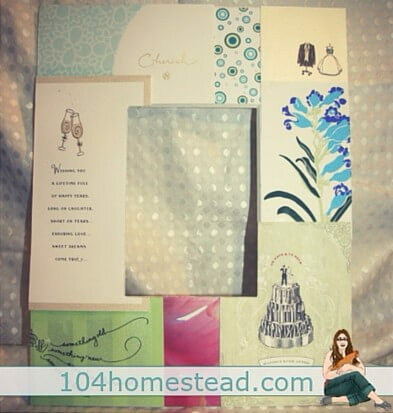 Some of my favorite card making classes include Gorgeous Greeting Cards: Stamping & Beyond, Cardmaking Essentials: Thank You Cards, and Create Stunning Birthday Cards. I’m 67 years old and when my sisters and I were young, our family didn’t have much, so my Mom used to use plain tissue paper or colored plain paper on our boxed gifts and placed the old Christmas cards in the middle of the box as a name card AND decoration, and included a ribbon or bow. They were beautiful. I have been cutting Christmas cards to use as tags on gifts and little note cards with gifts. You have shared some other great ideas. Thank you. I especially like the St Jude idea for the cards I don’t use. These are all really great ideas! Some of those cards are so beautiful you don’t want to get rid of them and yet at the same time you don’t want to hide them away in a box either. 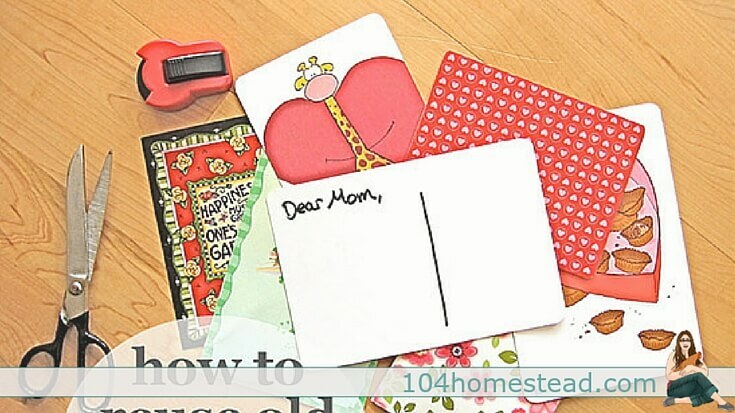 These are the perfect ideas for those special cards. Love the jar lid idea! One question though: You’re linking to other blogs for the tutorial and the images are obviously from those other blogs. Do you have permission from all those blogs to use their images and put your stamp on it? Don’t get me wrong, I don’t want to make you feel bad. Just want to point out that the makers of the images might not like it if you took their images without getting permission. I cut out the pics and use them for scrapbooking my pics of the holiday. That is a wonderful idea. I so badly want to be a scrapbooker, but I never seem to have the time. I have boxes and boxes of old photos that I really should address. Maybe a winter project when things settle down. I absolutely love these ideas! I am getting so tired of the thoughtless cards of people’s pictures. It’s nice to get some photos of friends and family, don’t get me wrong, but absolutely no thought goes into it. Upload your photo, choose a design, print, mail. Pretty simply. Ideas like the ones you write about put a personal touch on it. Work and thought both had to go into it. To me that is far more valuable than a photo card. It means, someone cares enough to utilize their valuable time to make a specialized gift. I with you there Mike. I appreciate a handmade gift more than something grabbed off the shelf. If people want to give you a photo, maybe that can include it with the gift. 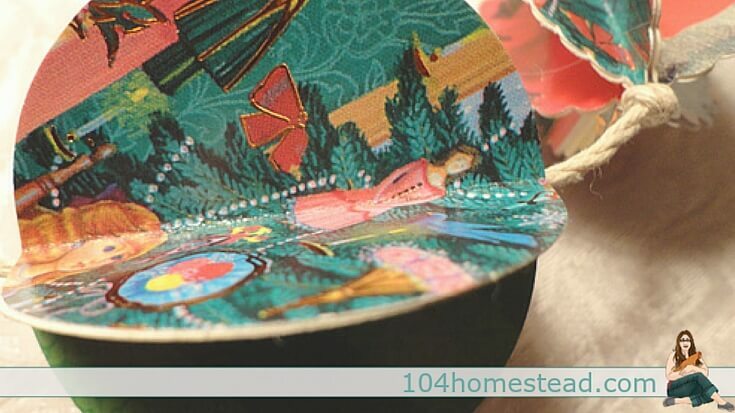 I love these ideas – especially the jar lid covers! I receive so many cards from organizations soliciting donations. I prefer to make my own cards but I just don’t have the heart to toss the free ones because they’re still useful. Thanks to you, now I can use them to help others by donating them to the St Jude’s Ranch for Children. So glad to help. It’s a great cause. Love donating the card idea! I have used them as covers for blank books kids make. Religious tone for scripture that they memorize. Birds for birding journals/ plants for garden journals/weather journals. We have punched holes in corners, strung with ribbon to make garlands to reuse the following years around the room with the tree. That’s brilliant! On the same line of thinking, you could use birthday cards as the CD cover when you save your birthday party photographs to disc. #1 and #7 are my favorites! I love that idea! I’ve got a mini clothes line with tiny clothes pins on my wall that displays family photos. When I get new school pictures, I can easily switch them out. husband and three beautiful children on 1/4 acre in Maine. We raise Nigerian Dwarf goats, ducks, and chickens, and we grow as much food as we can. What we can't grow or produce ourselves we barter for. If we can homestead where we live, what's stopping you?